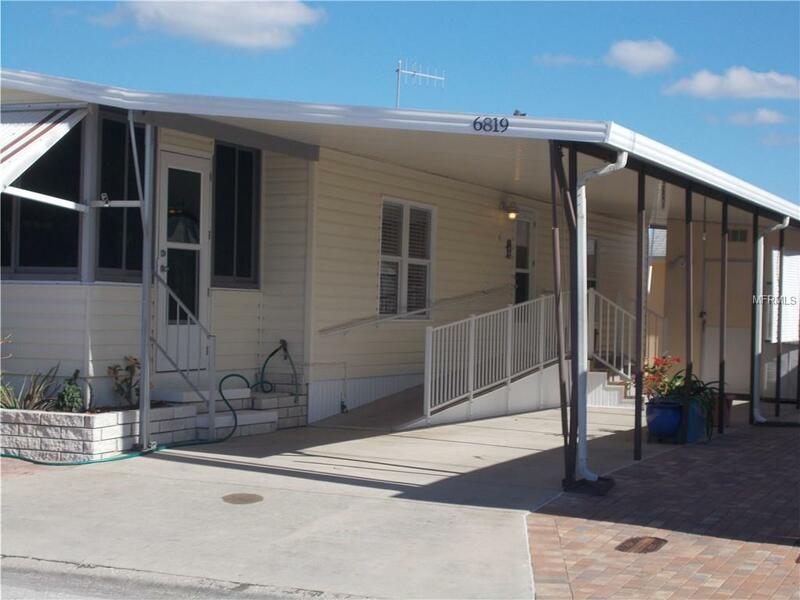 This home is eligible for VA financing! Have you dreamed of living in perpetual sunshine? Well, look no further than the premier manufactured home park of Trailer Estates. Generation after generation have called this little corner of Florida home. 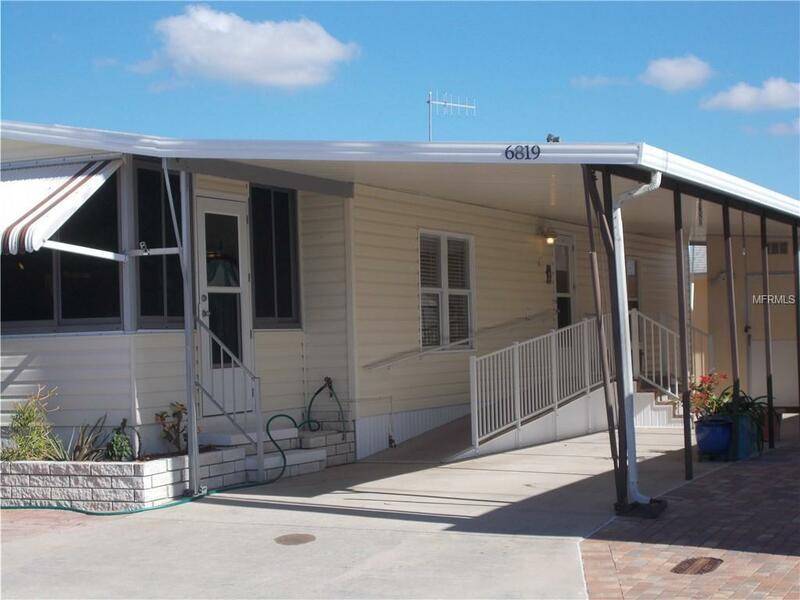 This great move in ready home is a true double wide with vaulted ceilings in the living area. It boasts built in storage in the office space thats just off the kitchen and a craft room attached to the guest room. The kitchen has been updated with solid counter tops and newer appliances. The pantry even has pull out shelving. The inside laundry room has a full size washer, dryer and additional storage as well. 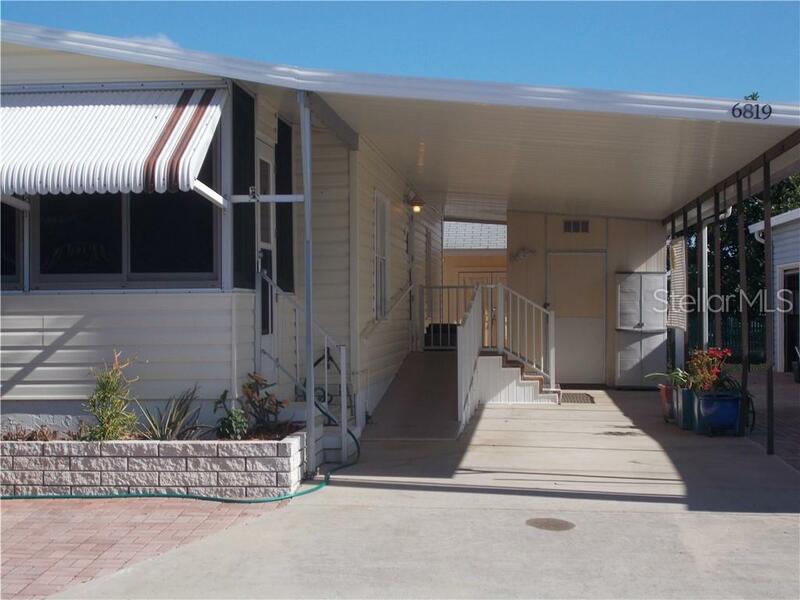 You probably can see the shed off the carport and realize you wont need to downsize when you buy this beauty theres room for everything. 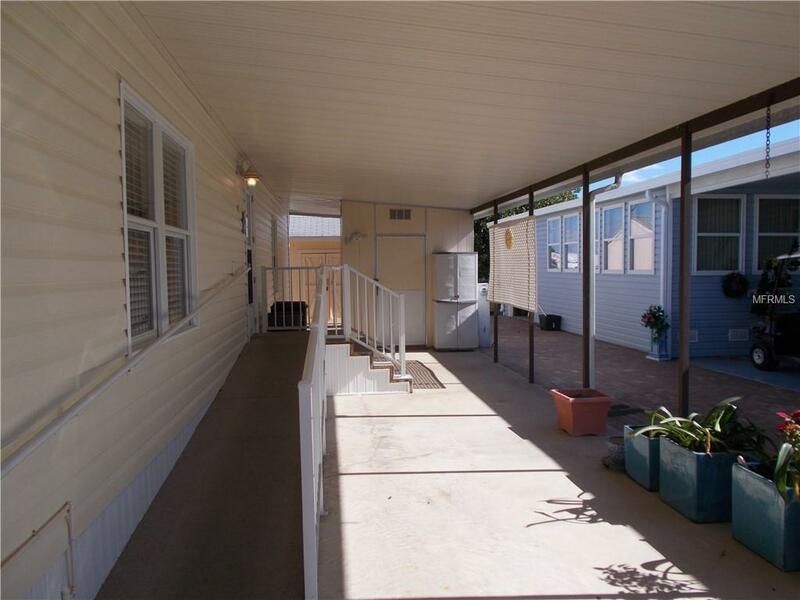 The lanai is enclosed for year round use. Whether you live here full time or part time youll find plenty of fun activities from art classes to Zumba. Did I mention the state of the art woodworking shop!?! The low annual fee of $1,100 is included with your property tax. I dont know of a better value in all of Florida! With the fee you have access to the heated pool and spa, fitness center and more, oh, high speed internet and expanded cable are also included, as well as an onsite manager. Theres so much more I could say but seeing is believing!